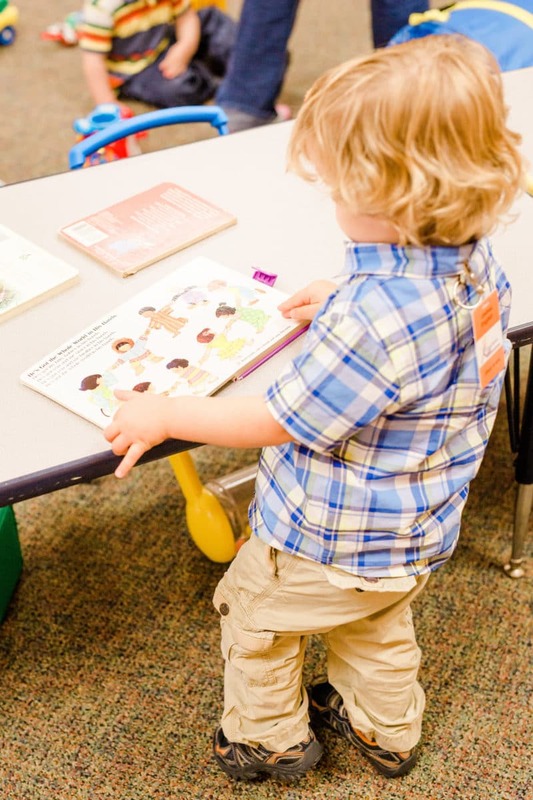 Children ages 0 - Pre-K.
We look forward to spending time with your little ones! While you enjoy worship on Sundays, your young children will experience Jesus’ love in a safe and engaging environment. Through age-appropriate activities, stories, and songs, children learn that God loves them and that his grace has the power to change everything. Not sure what to send with your son? Wondering if that little nose is just too runny to place your daughter in the nursery? Your children’s safety is our priority. All regular volunteers are screened and the church implements a Child Abuse Prevention Policy, which includes staffing each room with a minimum of two adults. To ensure safety, we implement check-in procedures for Sunday mornings and for childcare that is offered during special events. We rejoice in baptizing our little ones as a sign of God’s covenant of grace. If your or your spouse is a member here, we welcome the opportunity to baptize your child. Join our team and be part of sharing gospel grace with our littlest ones. We’re looking forward to meeting your family and welcoming your kids! Our visitor’s guide will provide helpful information so you’ll know what to expect and where to go.